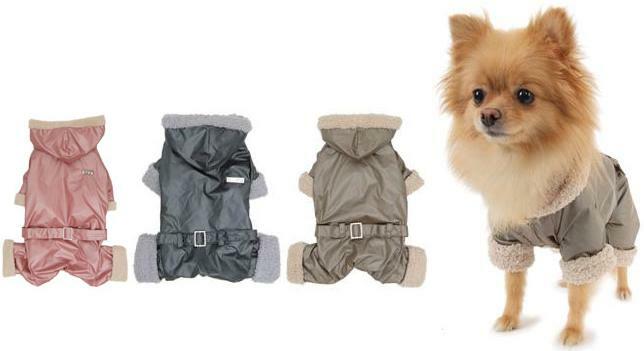 Keep your precious pet nice and toasty in these Puppy Angel Diva Fashion Padded Overalls. Made to look like a tracksuit the hooded design is lined with soft polar fleece for warmth in the winter. Made to look like a tracksuit the hooded design is lined with soft polar fleece for warmth in the winter. in the middle and there is a deatchable rhinestone "DIVA" brooch on the back too. Legs can be rolled up for the perfect fit. Click top dog models to enlarge - "Mommy, We want to be Fashion Divas Like You!"